The 80's are back! 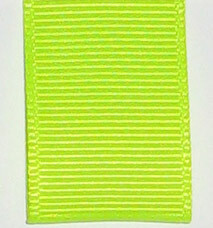 Neon colors have returned to us in fashion, home decor, and now ribbon! We have neon colored grosgrain and double face satin ribbon in wholesale put-ups for all the projects that really need to "stand out"!